For those who think reenacting and living history events are just tea-sipping poetry reading events … watch this video! 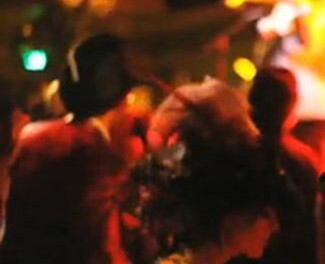 The video features the award-winning Edwardian Ball that transformed the historic Regency Ballroom in San Francisco into a garden of delights. Costumed guests were amazed by a magical outdoors-indoor symphony of music, theatre, dance, art, storytelling, circus arts, fashion, and technology. Exhibition exposes a darker side of 19th century women. Everyone loves a tea party. Have fun replicating one of these 100 year old restaurant menus.